Beirut: An air strike killed at least 28 people in an Islamic State-held area of eastern Syria near the border with Iraq, the Syrian Observatory for Human Rights said on Friday. 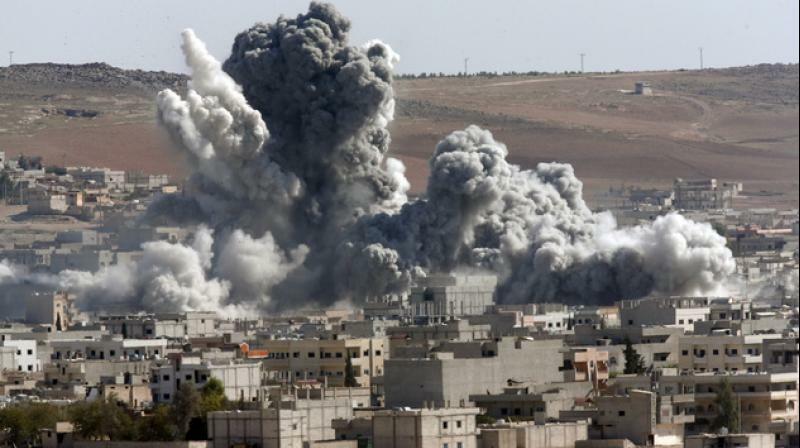 The Syrian state news agency and the pro-Damascus al-Watan newspaper, in its online edition, said the US-led coalition carried out the air strike near the town of Albu Kamal east of the Euphrates River. Citing local sources, the state news agency SANA said preliminary reports put the death toll at more than 30. SANA said the air raids had hit the towns of al-Sousa and al-Baghouz Fawkani. The US-led coalition is fighting to crush the remnants of Islamic State in Syria in support of the Syrian Democratic Forces (SDF), an alliance of militias including the Kurdish YPG.